Falconry Note: Visit the Meeting Room throughout the day to see the birds and participate in one of two presentations and Q&A with the licensed falconer. Parents: please keep preschoolers with you and help them visit the bird program quietly and calmly. 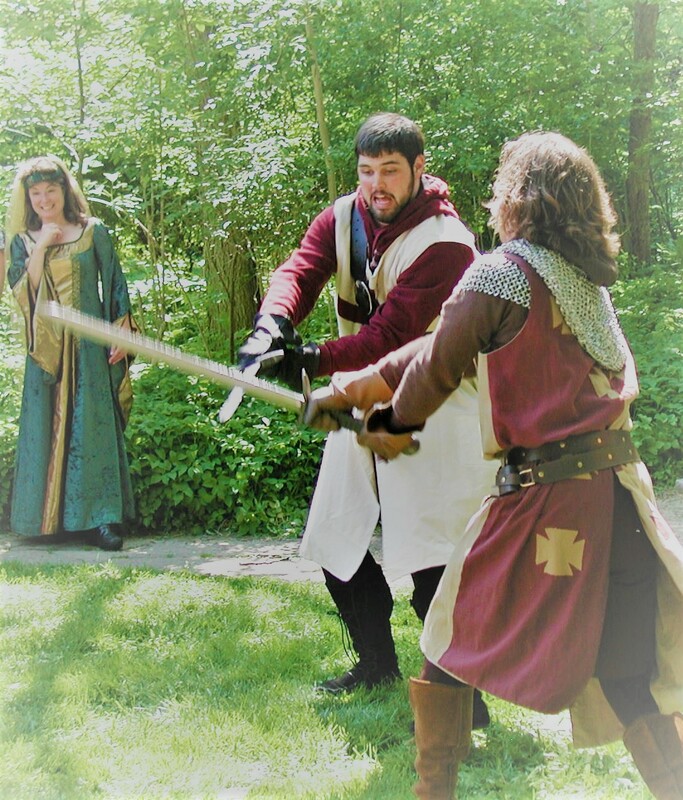 “Lords and Ladies, we present an afternoon you will not soon forget!” Performers in full medieval costume will delight and amuse as they dramatically give a glimpse of life in medieval times. Lady Joan will greet you, the falconer will display his birds of prey, knights will share their training stories, a jester will juggle and joke, and live music will be played. All ages. Costumes welcome.